Some locations in Rocky Mountain National Park seem to embody certain seasons so well. Moraine Park is certainly one location in Rocky Mountain National Park that fits the autumn and fall season like a glove. 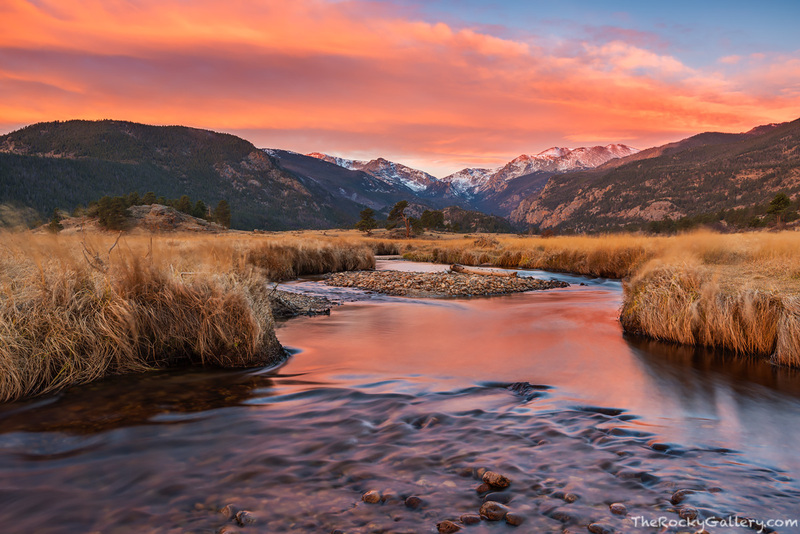 Whether it be watching the magestic Elk Rut take place in the beautiful open meadows of Moraine Park or watching a spectacular autumn sunrise unfold from the banks of the Big Thompson River, Moraine Park typifies the beauty present in Rocky Mountain National Park during the fall months. Photo © copyright by Thomas Mangan.